Ensure that you are well prepared and organised when it comes to laying turf to ensure that you are only laying fresh turf. Once you have laid new garden turf it is an ideal practice to water your turf in order to allow it to survive especially during dry spells. Here we have 10 useful tips for you to use when laying and then watering newly laid turf. 1. Before you begin laying new garden turf you may want to consider using a soil conditioner to increase the soil’s water retention capability. 2. When laying turf ensure that you only have as much turf delivered as you are able to lay in a day to avoid turf from drying out and you are only laying the freshest possible turf. 3. 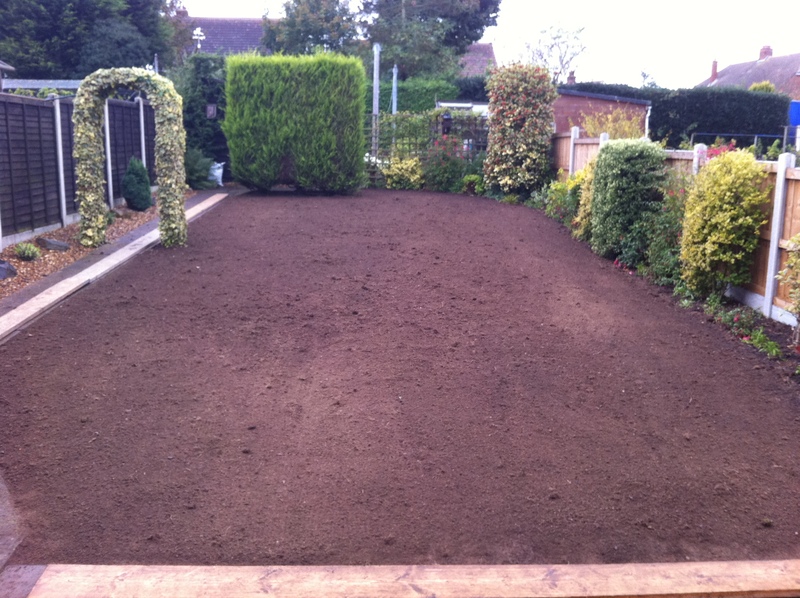 Be organised and well prepared by ensuring you have fully prepared your area for turfing to allow you to start laying as soon as your local turf supplier delivers turf to your door. 4. If you are laying turf on a hot day keep turf in a cool shaded area to keep it from drying out. 5. Dampen the ground just before you lay. 6. Tap down on the turf lightly as you lay your turf to ensure you the turf makes good contact with the soil. 7. As son as you have completed laying your area with turf, begin watering your turf immediately. Ensure that the soil is damp to a depth of 100mm. 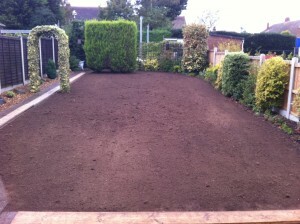 Thereafter, try to keep the turf and the soil it lays on damp. You will be able to keep an eye on this by turning up a corner of the turf but at the same time you will want to avoid over watering your turf. 8. The next few days after you have completed laying turf will require you to water in only the early morning or the evening. 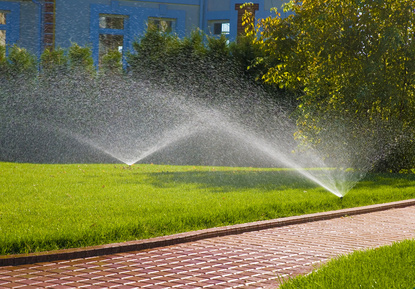 Watering in the heat of the sun will allow the water evaporate before it’s had a chance to sink into the soil. 9. As essential as it is to water your turf it is important to not over water or flood your garden turf. This creates boggy conditions encouraging moss and grass diseases to develop. 10. Over the next 28 days water less and less frequently. After the next 28 days you should find your turf well established and will require less care from you and only having the need to be watered during spells of hot weather.